Starting seeds on a windowsill has long been a favorite of home gardeners. 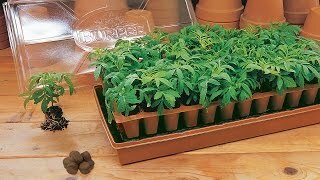 But many have experienced problems with seed kits that are too big to fit on a windowsill as well as coldness from being near the window causing poor germination and weak seedling growth.Burpee’s windowsill kit with seedling heat mat solves both those problems! The dual 10-cell seed starting greenhouses fit perfectly end-to-end on your windowsill. Seeds germinate quickly with the bottom heat of the seed heat mat and grow healthy and strong. The greenhouse lids provide just the right air moisture for emerging seedlings.Each windowsill greenhouse kit comes complete and ready to grow with 2 Seed Starting 10 plant Greenhouse Kits (enough to start 20 plants total) with greenhouse lids and Burpee growing pellets, plus the electric Windowsill Heat Mat. 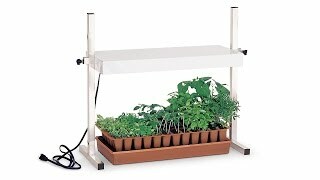 Windowsill Greenhouse Kit with Heat Mat is rated 1.0 out of 5 by 1. Rated 1 out of 5 by JimM from Heat mat stoped working after 3 days. Not good. The heat mat stopped working after 3 days. I noticed mold growing in the cells. I then noticed the heat mat that worked initially was no longer working. Ended up throwing everything out.